When in the early 80’s the heirs of the “Salocchi” winery, historical producer of the Chianti del putto since 1900, decided to sell the farm in Serravalle Pistoiese, Carlo Cappellini decided to buy the first hectars of vineyard and olive groves. Taking his own personal passion, which he passed onto his two sons Enrico and Giorgio, the decision was made not only to continue producing but also to start a thorough change together with the increase of the whole sector. 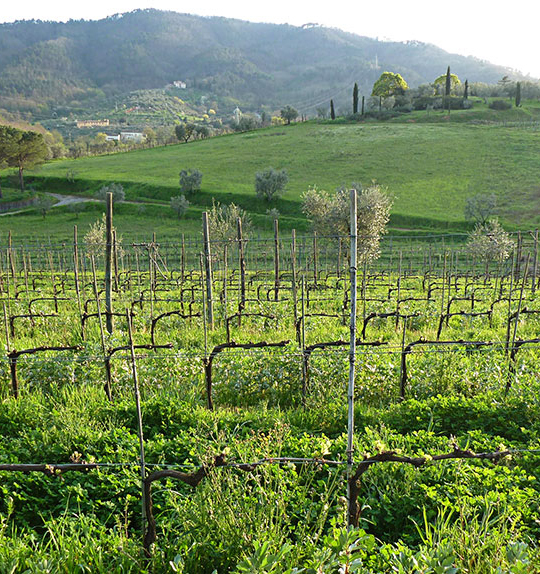 The respect for the soil and for traditional methods were maintained but the path towards biodynamic methods was taken. It was then that the Poderino della Frasconaia was set up: a small productive reality supervised by Giorgio Cappellini in person who was determined to create a product which would represent the territory’s characteristics: the DOCG Chianti Montalbano.